Despite the shift to cloud-based accounting, providing SMEs with better access to financial data, there has never been a greater need for small business advisory services for WA businesses. Cloud-based accounting is a welcome arrival as it allows business owners to become more knowledgeable about the numbers behind their business performance. However, this extra financial data does not guarantee that your business will reach its financial goals. In fact, around 97 percent of all Australian businesses are classified as “small” but the Australian Bureau of Statistics reports that an alarming 60 percent cease to operate after three years in business. What’s the reason for so many small business failures – and how can you protect against it? We believe that many of these business failures are due to lack of financial budgeting, inadequate cash flows or operating profit, and irregular financial reviews. We get it. These are not areas that you’re passionate about and are definitely not why you started out in business. That’s why you should enlist the help of a business advisory team that is geared towards helping small business owners with these major areas of concern; a team that helps you look forwards not backwards. For the future story of your business to be a good one, you need a trusted guide who is focused on the needs of your WA business, while also having the skills and experience to analyse and help you make the most of the numbers. You will only get true insight into the financial performance of your business through financial forecasts, real time analysis, and management reporting that quality business advisory provides. Small business advisory services can also help you identify the key risk areas or growth opportunities that are vital to the success of your business. As your business grows, you will go through various growth stages, each one offering different challenges and complexities. It gives you a business blueprint and the ability to track progress to understand if you’re on target to achieve your goals. The value is not necessarily in the answers but in the questions that are asked. A good business advisor will guide you through this process to ensure you cover all bases. Starting something new can be so exciting that you lose track of the key fundamentals. Firstly, have you determined why you’re entering into business? Have you set clear goals? Without these crucial elements, it’s easy to get distracted. Every business – big or small – needs goals to work towards and to track against. Lastly, are you aware of all the costs involved with the start-up process and do you have enough cash flow to fund these expenses? This is extremely important, as poor cash flow can result in financial problems and extra stress from day one. Are you happy with the current performance and profit? Do you think it could be better? Which areas are performing well and which are in need of improvement? Without a detailed financial review, it’s hard for any business owner to truly answer these questions. Putting time aside for this review is crucial to the future success of your business. It enables you to determine what’s working and what’s not. After the review, it’s time to get busy setting new goals and turning those goals into a forecast that can be monitored and tracked to provide you with key insights. This will help you make timely and informed business decisions. Entering a growth phase in your small business? Let’s say your business has been running smoothly, with excellent cash flow and now it’s time to start expanding your business. Essentially this means repeating the above stages without sacrificing your existing businesses performance. That’s easier said than done and usually requires the assistance of a professional business advisor. Selling a business that you’ve put your blood, sweat and tears into is never an easy task. To get the best outcome, you’ll need to start planning ahead a few years before the sale happens. A good business advisor will ensure that your balance sheet, cash flow, and profit and loss reports are attractive to any potential buyers. This is where a three-way forecast becomes important, as it enables you to understand the steps required to get to your desired outcome. Whichever stage you’re at, get the right business advice. 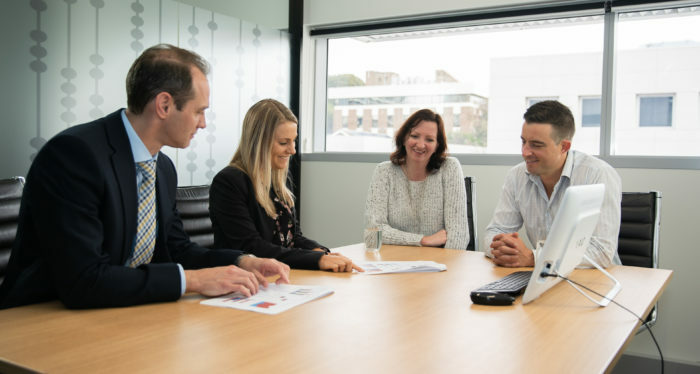 If you’re ready to invest in the future of your business and need help with any of the business stages outlined above, our small business advisory services for WA businesses are designed with you in mind. Contact our Business Advisory team today.